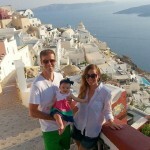 Seeing the world with your little ones: it can be done! As I finish cleaning up the mess from my daughter’s birthday party I sit back and look at the decorations that I made. The theme: let’s travel the world! I love event planning almost as much as I love to dance and to travel, so I spent a few weeks designing and creating a little fiesta for my little girl and I printed images from all the places she’s visited, which to my surprise added up to a dozen countries and close to 30 cities and towns… I should probably add that she just turned 2. 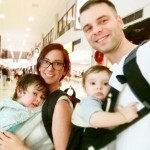 Most people think it is not worth traveling with little ones because they won’t remember: “it is a waste of money”, “Europe is boring for kids” and I won’t even tell you what I heard when we went to the Middle East. The thing is, I do it for me, well mostly. I know it sounds selfish (I’m a millennial after all), but I’ve always loved to travel and I didn’t want to change who I was or stop doing what I liked just because I had kids. I also happen to love them to pieces and I enjoy spending time with them and teaching them new things. When I got married people told me that I should travel with my husband as much as I could before starting a family, because once we had babies we would be stuck with trips to the beach or to Disney World. I refused to believe that, and so far I have proven that you can have a culturally enriching trip and still have fun with your babies and your husband. And don’t get me wrong, I love the beach and our next trip will probably be to Orlando, but there are tons of wonderful places to be seen in our beautiful planet and I am here to tell you that you can go anywhere, your kids will be fine and they’ll even learn something from it. What can a baby or a toddler learn from a trip? They adapt, they become more flexible and open minded. They will try different foods, see different people and sceneries and they will learn to appreciate the little things in life. Now, this can only happen if you are relaxed about it, if you are a little bit creative and if you are open to experience new things. I won’t lie to you and say that traveling with baby and a toddler is a breeze. There will be tantrums, you will fight with your partner, you will miss a train or a tour and you won’t be able to do everything on your list, but it in the end it will be worth it and you will have a great learning and bonding experience with your family. The good times will always outweigh the bad. Knowing how much you have to spend will help you choose your destination and the length of your trip, which will also determine what you’ll need to bring. If you can travel during low season, it is totally worth it: it will be cheaper, less crowded and probably not too hot in most places. When I was little my parents would make us miss the first 10 days of school to go on family holidays and it was great (just remember that traveling is an amazing learning experience). 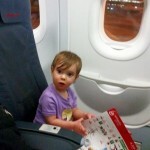 Nobody enjoys a crying baby on a plane, but sometimes you have no choice. If you are like me, you’ll choose the cheapest way to get to your destination; even if you have two or three connections with seven-hour layovers. The first time I traveled with my baby I was alone, my son was almost 4 months old and I thought it was the easiest thing in the world. Everyone was offering help, they gave me a full row because the plane was not full and he slept 3 out of the 5 hours of the flight. Being in the car for hours is not fun either, but at least you can stop when needed so kids can stretch their legs and you can take a break from driving. Trains are even better because you can walk more and nobody is stuck behind the wheel, but my favorite way to travel with little kids is on a very big boat! Cruises are the perfect way for you to see a lot of different places while having a home base for kids to play, eat and swim. They are also very affordable as in many kids under three don’t pay and your food is included. Find travel forums and blogs about your chosen destination and things to do with kids. Read posts and ask questions. You will learn from other people’s mistakes and find great tips that will save you time and money. When I took my then 13mo to Berlin, I found out that there are lots of Kinder Cafés in the city. I would stop for lunch or coffee and baby could play indoors and see other kids as we were there during the winter. There might be a festival or an outdoor show, just keep your eyes and ears open and don’t forget to talk to locals. Every time I see families with little ones at airports with 4 suitcases, a car seat, a stroller, a play-pen and a bag of snacks and toys I panic. Many hotels have cribs or cots, and there are many rental sites for baby gear in most developed countries. In many places car seats are not even mandatory (of course, you might feel better if your child is in it, depending on their age and on how long you’ll be on the road), so this is why research is so important. When you are in a new environment kids get distracted easily. We always let our kids bring one small toy and half way through our trip we get them a little surprise to distract them on a long day. Borrow a pen from a waitress at a restaurant so they can draw, make shapes with the straws in your drinks, or do towers with disposable cups… one thing you can’t forget is your baby/toddler carrier, as some places are not stroller friendly and they are great solution for naps while on the go. We all try to limit our child’s screen time, but your smart phone can be a lifesaver at times when traveling. Not only they are good for finding the best route to your next stop, work as a translator or take your family pics, but they can also store tons of movies and games for your little ones to use when you are in a museum or stuck on plane. My husband and I love taking walking tours wherever we go, and with babies these are great when they are all snuggled up in a baby carrier, but ask a toddler or preschooler to sit or walk for three hours while someone is telling you the history of Ephesus and you’ll wish you’d never got on that plane! This is when the headphones and the smartphone come out. We save a few movies on each phone when we travel and when things are getting boring for our son he would sit in the tiny umbrella stroller and watch his movie. If you do not have a roaming plan, stop at places with free WIFI to reload your maps, download a few free apps and upload your favorite photo to instagram! Most people usually have a plan when on vacation. They want to see a specific monument, visit a museum or a park, take a tour, watch a show, etc. If you are with adults this can all be achieved, but little kids are unpredictable, especially when you take them out of their routine and comfort zone, so don’t expect to check everything off your wish list. Prioritize: If you go to Paris, you might want go to see the Eiffel tower first, but maybe you don’t have to spend 8hrs at the Louvre, or visit 10 churches. If you can manage to do 2 things on your list in a day that would be amazing (remember that little kids have little legs and little stomachs and little hearts). If you are in a different time zone, the jet-lag might work for or against you, so plan accordingly. Use nap time to do something culturally enriching like taking a bus tour while kids sleep on your lap, borrow a stroller from the museum so they sleep while you pretend to know something about art, or just grab a drink and enjoy an adult conversation with your partner at an authentic café while they rest on two chairs put together. You’ll have to get creative at times, but if you know your children you’ll know how long they’ll last on the road before they melt down. Always try do something fun for the kids each day. Visit a nice park, play with them in a public square, go exploring or find a “treasure”… don’t be afraid to use small bribes to get them to your next stop, i.e. : let’s race to the next block, or ride one more subway stop and then we’ll go find a special treat. Just remember that if your child is exhausted a melt-down might happen, and you might have to call it a day. Two summers ago, we visited the Greek islands and it had always been a dream of mine to see a sunset in Santorini. It was a long hot day and my then two-year-old son only managed to nap 15mins before we had to wake him up to hop on the gondola and he lost it: he was kicking and screaming at the top the hill, right when the sun was setting (we were even wearing coordinated outfits!). We couldn’t get him to stop, and I was about to weep. We ended up with a very nice picture of 75% of the family while our tot kicked at the feet of the very nice stranger who took our pic (sigh). 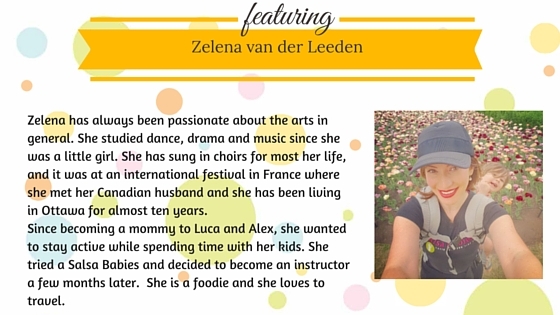 I hope you feel inspired, and not too afraid, to travel with your tiny humans and that my tips help you plan your next family vacation…. and don’t forget to document every moment of it.